When your game uses a digital app, it can be a great way to bring in more content directly to your players. 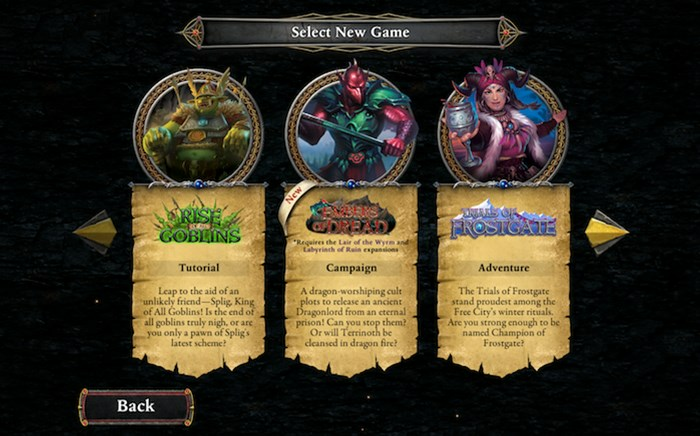 And since Descent: Journeys In the Dark from Fantasy Flight uses an app, they've created a new adventure that you can play. Just download the new content and off you go into the wild black under. And even better: it's free. Discover the dark secret of the Ashen Hills with Embers of Dread, a new free DLC campaign in the Road to Legend companion app for Descent: Journeys in the Dark! Embers of Dread is the perfect way to fill a holiday break while you're at home with your family or friends, and best of all, it's available now on the App Store, Google Play, Amazon and Steam! Embers of Dread sees you become embroiled in the conspiracy of a mad cult that plots to release an ancient Dragonlord from his eternal prison. With six new quests and a storyline that takes you to the militant city of Riverwatch, your group of adventurers is sure to keep themselves busy. This threat puts all of Terrinoth in danger, and your heroes will have to use their strength, wits, and quick decision making to survive. Important note: Embers of Dread is a free expansion for Road to Legend, but it does require the Descent: Journeys in the Dark Core Set, Lair of the Wyrm, and Labyrinth of Ruin expansions.